Something as simple as "filling in the blanks" on a beneficiary designation form can have ramifications never imagined. Standard beneficiary designation forms don't ask the right questions to assist you in assuring that you avoid unintended heirs. If you left an inheritance to your daughter and her husband divorced her four years later, it is likely that there isn't anything in your current estate plan that would prevent him from taking half of that inheritance with him. Portfolios can be designed to provide income even if you should live longer than you thought you might. Clients and their advisors can fail to take advantage of available Distribution Strategies. Depending on your circumstances, you may be able to employ specific Non-IRA and IRA Distribution Strategies that, when applicable, result in virtually no income taxes from an investment portfolio for the first ten years following retirement. These strategies aren't included in the securities licensing exam or any continuing education courses we have encountered. They take advantage of universally available sections of the Tax Code, won't trigger an audit, and would create no problems if you were randomly audited. Yet, they are simple, effective, and are available for consideration in Gold Tree Financial planning relationships. In today's financial world, risk tolerance doesn't mean simply adjusting the ratio between equities and fixed income. Investment portfolios can be structured to provide growth potential, retirement income, tax efficiency, wealth transfer benefits, and legacy planning opportunities and you can choose how much risk you are willing to take while addressing each. Proper diversification isn't just about risk. 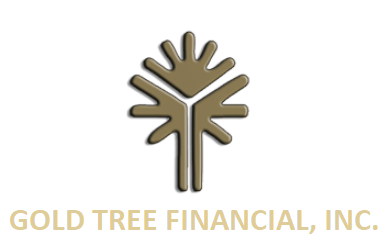 At Gold Tree Financial, in addition to risk, portfolios are diversified based on Money Utility i.e. what it is that you want your money to do. That might be provide retirement income, or it might be benefit heirs. Risk Tolerance doesn't address these differences.